Your college kid has come home for the holidays and, in addition to a lot of laundry, he or she has brought a heightened awareness of those who have a lot less. 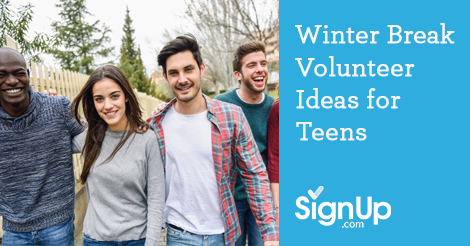 Amidst the obligatory family gatherings and reconnecting with high-school friends, help your child channel his or her charitable spirit into action and thoughtful holiday giving. 1. Give Blood! One of the most useful and powerful gifts is the gift of blood to the local blood center. If you can’t give blood, organize a blood drive. 2. Babysit! Offer to stage a babysitting co-op so frazzled parents can do their holiday shopping. 3. Donate! Convey the spirit of giving by cleaning out your room and donating the things you no longer have use for to those less fortunate. Clothes, sports equipment, and books that you can no longer use would make fantastic gifts! 4. Walk Dogs! Your local shelter is always short of dog walkers, and may be especially in need of help over the holidays. Not a canine fan? It’s likely that the shelter could use people to do the arduous job of playing with the cats. Allergic? There is always a need for front-desk help. 5. Pick-Up Litter! If the park by your house is looking at little shabby at year-end, organize a small group to spruce it up! Or, join a larger effort to clean up the rivers in your area. 6. Hold a Food/Clothing Drive! Nothing brings home the spirit of the season more than giving the gifts of food and warmth to those without. Coordinate with your local food bank or homeless shelter to see what the greatest need is and then set about collecting it! 7. RUN (or Walk!) There are lots of Fun Runs or other charity activities to participate in this time of year. Get fit and give back at the same time! Bonus fun if you do it with a group of friends. Help your kids get out there and make their breaks count in meaningful ways. Not only will YOU remember it always, you are instilling memories and an attitude of grateful service in your children. Help them give back and lose themselves in the joy of serving others!